Based in Beijing and Xian, this history itinerary showcases some of the fascinating parts of Chinese history. Beijing has been a walled city since 1045BC and its unique geographical advantages have made it a coveted seat of power for over 3 millennia. Beijing has been the largest city in the world for most of the 2nd millennium and remains today as one of the most important political centres of the world. 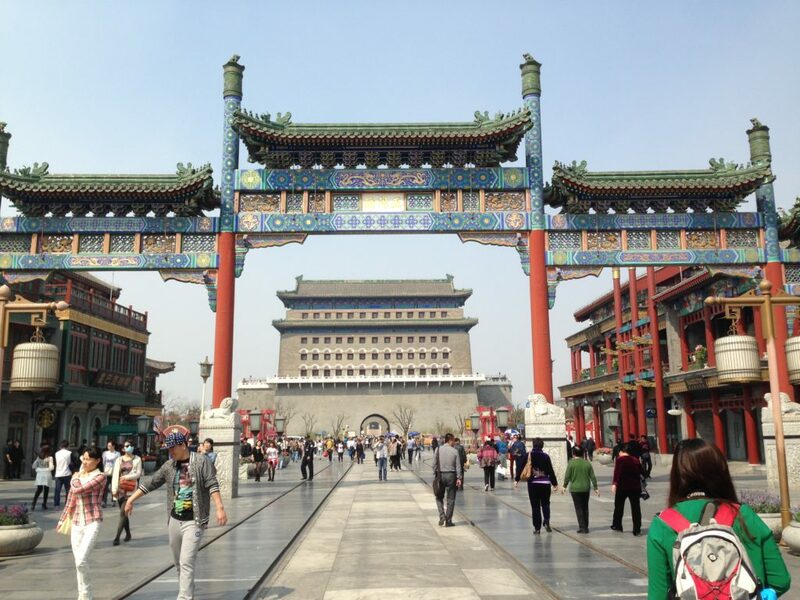 Additionally, students will be travelling to Xian – the silk road capital and a massive centre for trade historically. The Learning Adventure emphasizes an integrated approach to history. Guides are trained to cover everyday life in the past as well as the significant political events that have brought China to its current world status today. Our school trips are completely customizable and can be tailored to meet your requirements. Additional destinations available for this theme include Hong Kong, Suzhou, Hangzhou and Chengdu. Speak to a specialist now to find out more. In the morning, students pass through Tiananmen Square, a politically and historically significant site, and enter the Forbidden City. As the world’s largest imperial palace the Forbidden City is filled with the homes and offices of those who governed the middle kingdom. Our guides walk students through imperial life and the political upheavals that took place within its walls. After lunch we move to Jingshan Park for a panoramic view of no less than three World UNESCO heritage sites. Following this, students participate in a traditional calligraphy lesson (Got something specific you’d like to write? Let us know in advance). Finish the day by trying different Chinese delicacies at the Wangfujing Night Market. Then, enjoy a traditionally royals-only dish, a Peking roast duck banquet. This morning, we examine the two schools of thought that have most influenced Chinese thought prior to the cultural revolution, Buddhism & Confucianism. We start off with a visit to the Lama Temple, Beijing’s most iconic bastion of Tibetan Buddhism. Our guides explain the differences between Tibetan Buddhism and the more commonly practiced Han Buddhism. Then, we move to the Confucius temple which was built in the 1300s to honor Confucius. We learn about how Confucian values influence Chinese philosophical thought. In the afternoon we visit the Summer Palace and its temple complexes. Walk through the grounds and then take a wooden boat across the palatial lake (boat only available April – October). We wrap up the day with a very special lecture about the Cultural Revolution followed by a Q&A session. The day starts with a Kungfu lesson in a local park popular with morning martial arts practitioners. 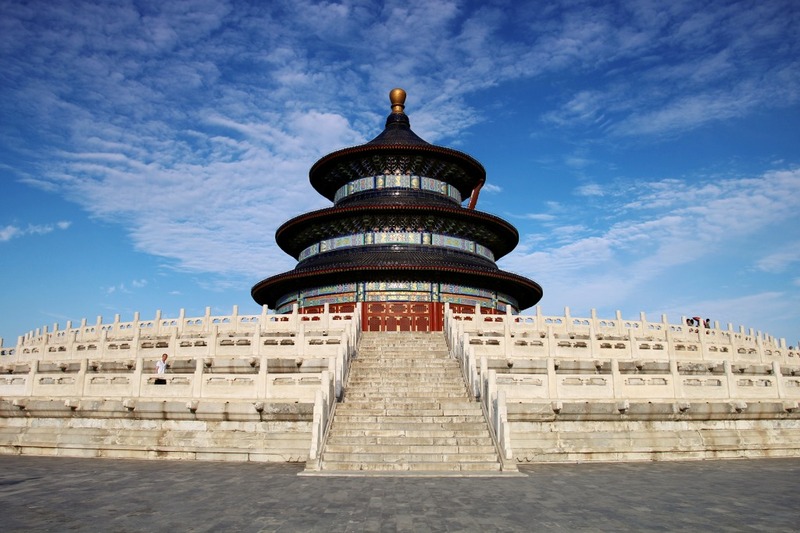 Afterwards, students will relax with some sightseeing at the Temple of Heaven. Originally where the emperor participated in religious rites, the complex is a feat of classic imperial Chinese architecture and was thus named a UNESCO World Heritage Site. After a tour, students engage in a traditional tea ceremony at a park within. Then, we visit the 798 Art Zone, a series of architecturally unique 50-year-old decommissioned military factories that are now packed with urban art and artists. Our final dinner in Beijing is at a Mao-era themed restaurant, full of propaganda posters, communist imagery, and great food. Board the high-speed train to Xi’an which travels at an average speed of 350kmph (that’s 217 miles-per-hour!). Upon arrival, after checking into our accommodation, we go to Xi’an’s historic Muslim Quarter market with all its sights and sounds. This is where the traders from across the Silk Road first settled in China. Then, we sample the unique flavours of Hui Muslim food before finishing the day with an evening stroll to see the Drum and Bell tower lit up at night. Drive outside the city towards the Terracotta Warriors. One the world’s most mysterious necropolises and a scientific marvel (ask our specialists about the worksheets we have available for this visit). In the afternoon, we do the absolute must in Xian, the bike ride around the top of Xi’an’s ancient City Walls. They are China’s best-preserved city fortifications and an excellent way to compare and contrast the old historic city, with the soaring skyscrapers of modern Xian. Our first stop is at the Great Wild Goose Pagoda, deemed a UNESCO World Heritage Site for its Buddhist religious and architectural significance. We then switch gears and go to the Great Mosque of Xian, a mosque with over five-hundred years of history that is still in use today. 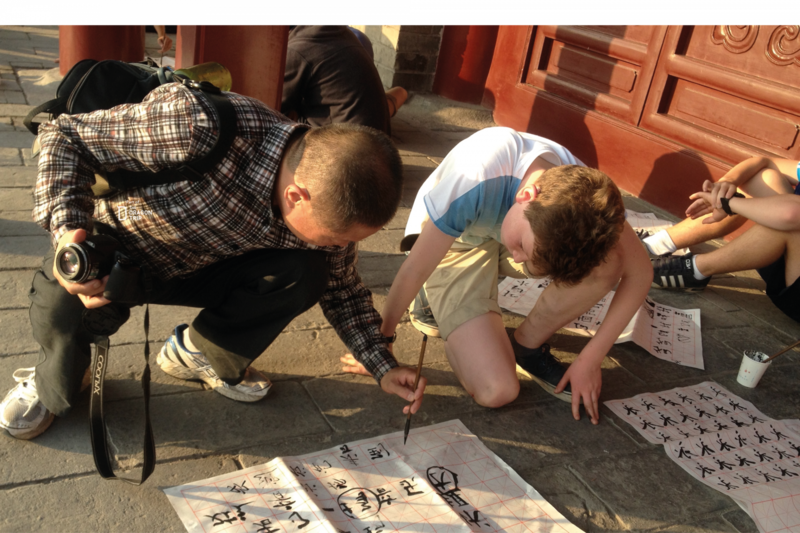 Students can see a unique expression of blended Chinese and Islamic styles. Our guide explains the unique blending of cultures in Xian due to the active presence of the Silk Road. Finally, students will participate in a traditional paper cutting workshop (also known as Window Flowers) to create some beautiful artwork that can be taken home. Understand the narrative of Beijing & Xian through the ages. Describe the events that led China to occupy its current world status. Guaranteed in-depth experiential learning, as students conceptualize the art, music, traditions and customs in each historical time period.